A mild temperament and modest food and housing needs make the Kenyan sand boa a good choice for first-time snake keepers. 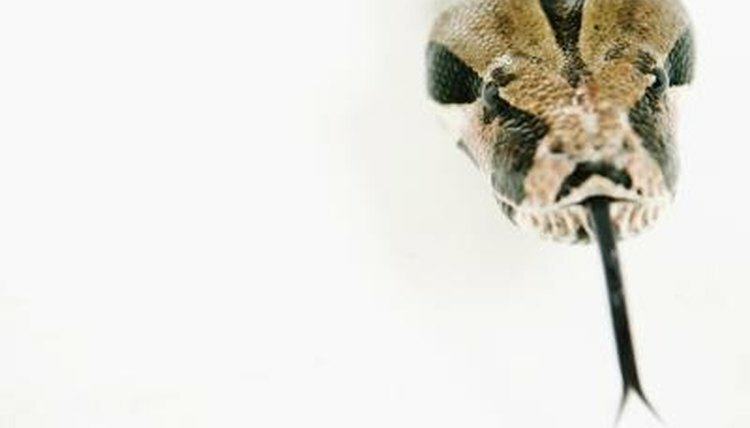 The small but stout boas rarely exceed more than 2 feet in length and are happy with the amount of floor space offered by a 10-gallon aquarium. They spend their days burrowed into the substrate of their enclosure, venturing out to feed at night. Their easygoing nature makes it easy to keep several snakes together. Two or three sand snakes may be kept in the same enclosure, providing that there's only one male in the group to prevent aggression and injury. Do not place males and females together unless you are prepared to care for the resulting offspring. Provide at least an additional 2 square feet of space per snake when housing them together. While most Kenyan sand snakes are calm and get along well with others, some individuals may have a feistier temperament. Drill plastic sweater boxes with air holes to make stackable apartments for each snake should you decide to keep them separated.